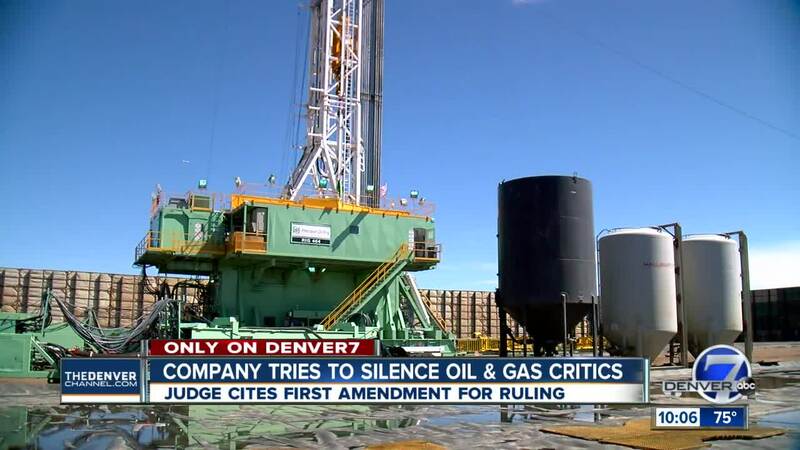 An attempt by a major Colorado company to silence critics turned into a big win for anti-oil and gas activists and First Amendment rights. BOULDER COUNTY, Colo. — An attempt by a major Colorado company to silence critics turned into a big win for anti-oil and gas activists and First Amendment rights. Martin Marietta, a multi-billion-dollar company that supplies construction materials to oil and gas, slapped activists with subpoenas back in July. The company demanded six well-known activists, including Cliff Willmeng, turn over all communication related to a protect against Anadarko in Erie last year. "It wasn't a win just for our clients or just for anti-fracking activists. It was a win for everyone. Everyone gets to speak freely on issues that are important to them," said attorney Andy McNulty with Denver based law firm Killmer, Lane and Newman. A district court judge recently ruled to quash most of the subpoena and said: "the court does find that the production of all records sought would have a chilling effect." "They were seeking every single communication among two groups that are central to organizing against them, East Boulder County United and Erie Protectors," explained McNulty. "Basically, what they were looking for were documents, strategy, future protests, anything they could find that they could use to stifle free speech in the future." At the center of the story is Paula Oransky. An Erie mother who told Denver7 back in April that Martin Marietta fired her for participating in that protest against Anadarko last year. Shortly after she filed a wrongful termination lawsuit against the company, the activists were served subpoenas, and a judge has now ruled in their favor. The only communication activists must provide is text messages sent between them and Oransky that specifically mention Martin Marietta. Communication, the judge, saw as central to the ongoing civil case between Oransky and the company. "The judge in our case recognized the danger that oil and gas activists are under in Weld County," said McNulty. "People who are in Boulder and Weld county who want to organize don't have to do so under the microscope of oil and gas companies. He also said he believes the judge's order sends a clear message to corporations trying to use litigation to silence critics. "The first amendment is under attack, and our clients were brave enough to stand up," said McNulty. Denver7 reached out to Martin Marietta for comment on the ruling but had not heard back as of late Friday.